These are rugged, safe and have low maintenance. 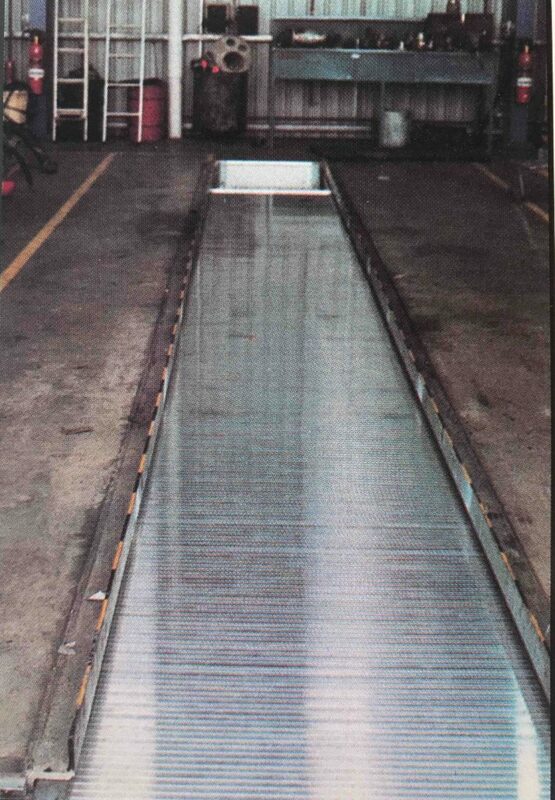 Auto-pit shutters are used solely in covering lubrication/maintenance pits in specialised auto workshops or in similar horizontal applications. Completely secures the entire length of the pit and its contents. The auto-pit shutter locks firmly in any position along the length of the pit in minutes. Its durable and dependable performance. 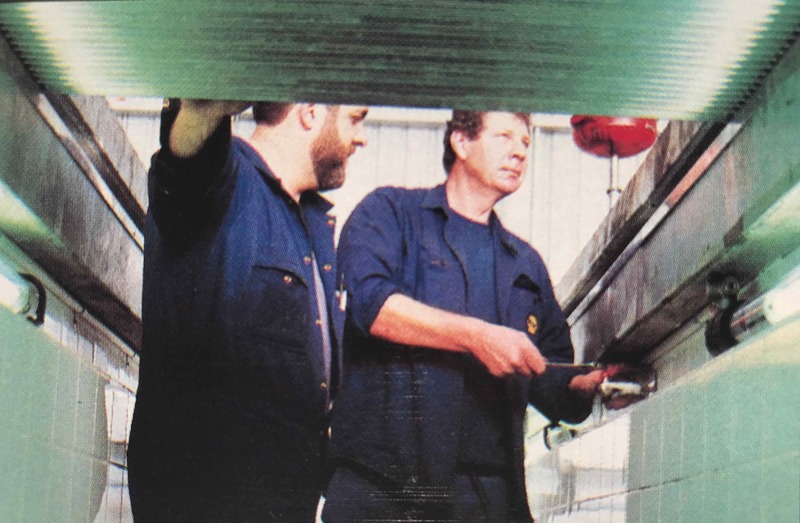 The auto-pit shutter is constructed from resilient aluminium slatted curtain and strong steel components, manufactured by a company with many years of engineering experience and the quality you can depend on. Its fully designed and installed to meet the clients individual pit requirements. Recommended specification the 'auto-pit' shutter will be supplied and manufactured by 3rd Generation Doors. Curtain the curtain will be constructed using specially extruded aluminium slats, having a depth of 25mm x 1.4mm thickness, nylon end clips will be fitted to each alternate slat. Locking as specified to individual requirements. Size standard up to 10 meters in length by max. 1,000mm wide, or manufactured to suit individual requirements. 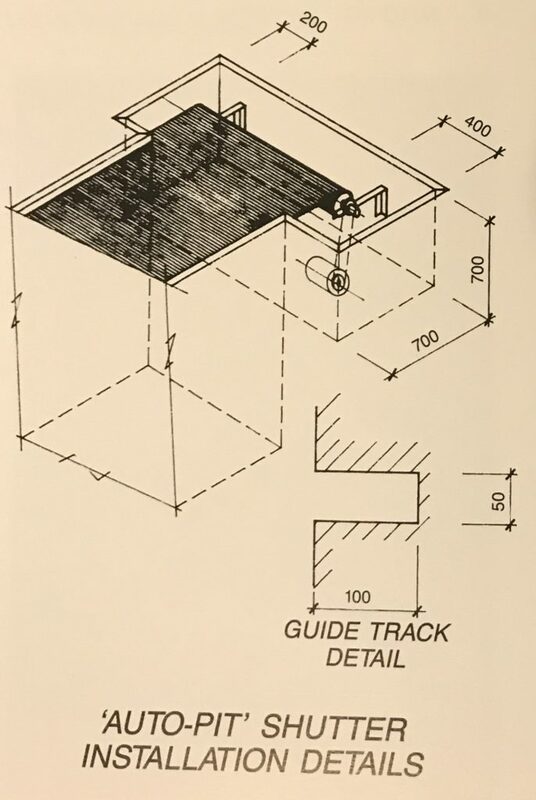 Guide track the guide tracks will be manufactured from galvanised steel channel section formed to suit curtain overlap and working clearances nominal size 100mm x 50mm. The guide tracks will be securely fixed to pit walls by masonry anchors and/or by welding to steel construction. Operation manual - can be operated by a hand winch. Automatic - unique compressed air motor/gearbox mechanism (for flame proof requirements.) Or a fully electric mechanism which allows the 'auto-pit' shutter to open and close with finger tip control. Roller drum the roller drum will be manufactured from nominal 100mm mild steel tube. Finish all aluminium slats are mill finish as standard or natural anodised if specified.